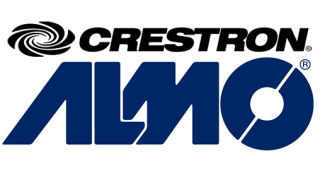 Almo Professional A/V has become a U.S. distributor for Crestron’s Simple DigitalMedia (DM) product line. As part of the new agreement, Almo now provides Crestron’s latest lineup of Simple DigitalMedia technology products that are designed for easy setup and installation without programming, to address the growing market of low-cost huddle spaces and classroom breakout rooms. Crestron will also participate in the Almo Pro A/V 2017 E4 AV Tour, which commences in Chicago on March 22 and in San Jose on April 19. Taylor added that the new Crestron product offering is complementary to the technical support provided by Almo’s Business Development Manager team. When combined with Almo’s Managed Services portfolio for Control Service, Almo partners can aid in their customers’ deployment of Crestron’s automation and control solutions while earning additional revenue without additional staff.